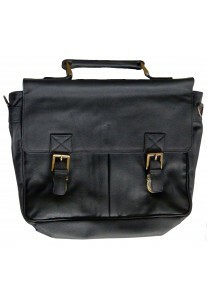 Made from 100% genuine Cowhide leather, this sophisticated leather briefcase is a must have for all businessmen. The briefcase is split into two main compartments inside making it ideal for storing folders, documents and even a small-medium size laptop. Two additional zippered pockets for valuable documents or items. 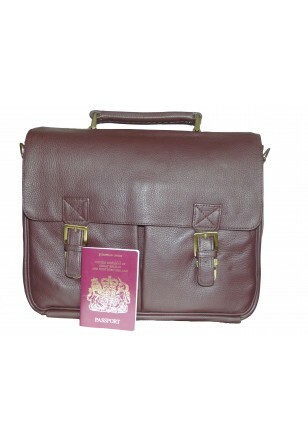 The second main compartment is ideal for holding a laptop, folder or documents. 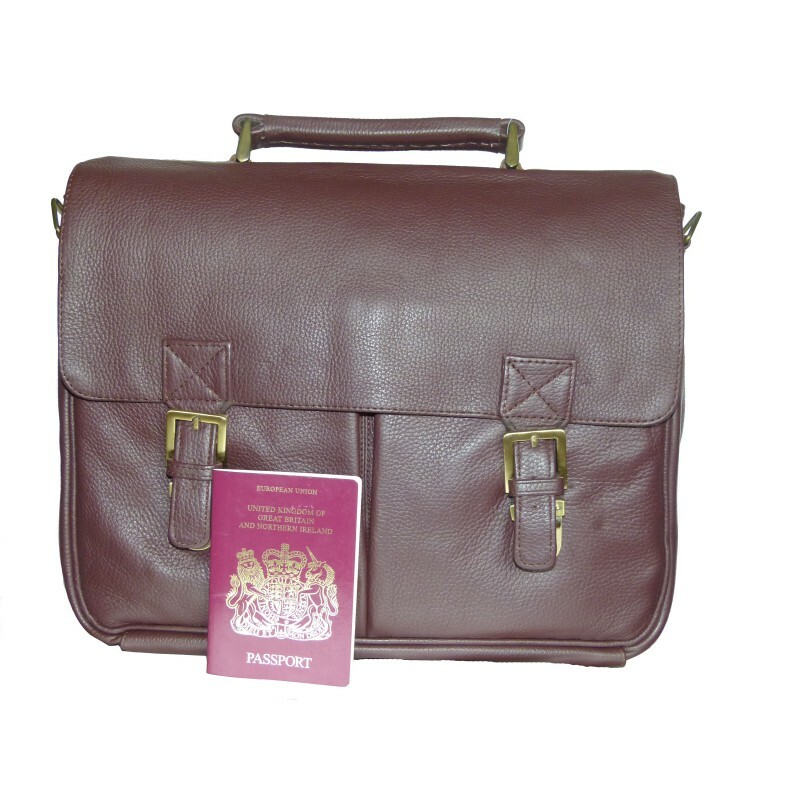 There are also two large pockets situated at the front of the briefcase and a large zippered pocket situated at the back of the briefcase. With metal clasps and buckles, the briefcase comes with two carry options, the first is by the top handle and the second is by the detachable/adjustable leather strap which is worn over the shoulder.